Our sunny spring has been hijacked (boo to this premature chilly, cloudy weather). But we're holding on to hope for brighter, warmer days before Karl the Fog sets in for summertime. 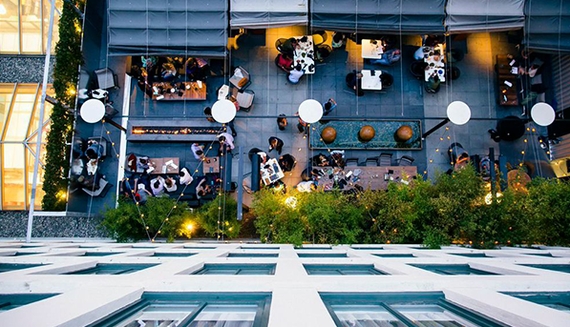 Because we love you, we put together a cheat sheet of rooftop bars that you can have at the ready as soon as a nice day hits. The vibe is a bit clubby, but with multiple bars, a DJ and a killer happy hour ($5 cocktails from 5 to 7 p.m., Tuesday through Friday), this is where you go with the girls when you want to be seen. Location. 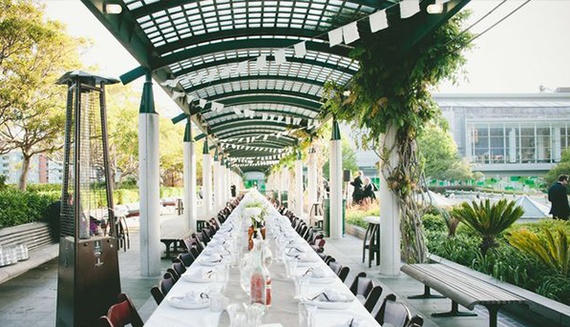 This Mission oasis serves up potent margaritas and bar snacks like quesadillas, house-made chorizo and sweet plantains to keep you from getting too tipsy before dinner. The key here: Tall glass walls shield patrons from whipping evening winds. Location. 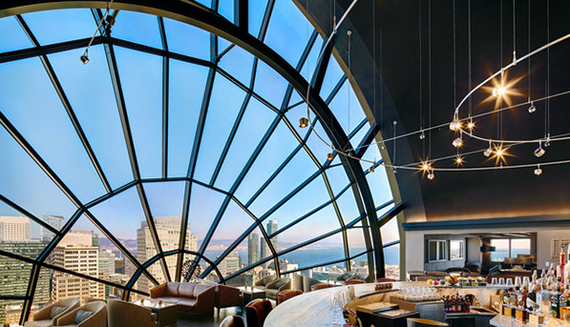 This swanky bar in Hotel Palomar draws the nearby FiDi crowd--think power suits and red-soled stilettos. Order a tumbler of bourbon (the bar is known for its 300-plus varieties of brown spirits) and sidle up to the fire pit. Location. 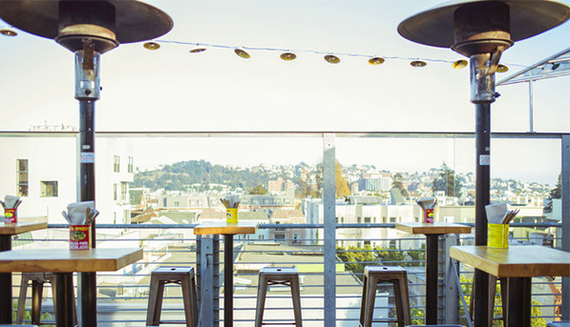 Hit this oft-overlooked gem perched above Yerba Buena Gardens in the heart of downtown for cocktail pitchers and $1 oysters from 4:30 to 6:30 p.m., Tuesday through Friday. Location. 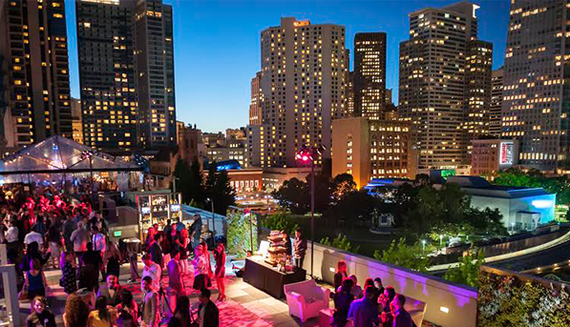 With a panorama of skyscrapers as its backdrop, City View hosts some of SF's hottest events, including SFMOMA galas, Taste of the Nation and last year's Best of the Bay party. Location. 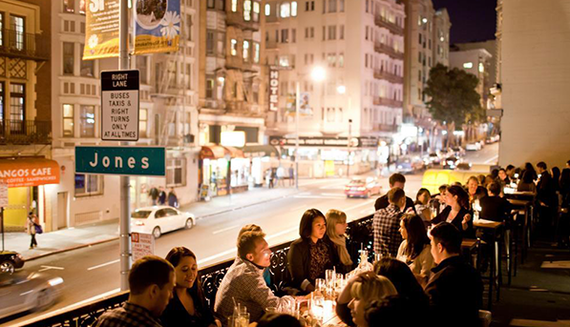 Did you know that drinks are allowed on the rooftop during the science museum's weekly NightLife event? 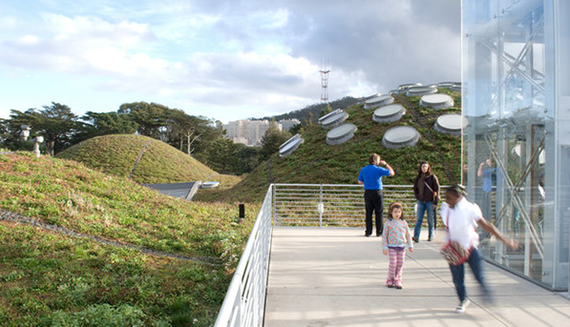 Throw on your jacket and head up to the Renzo Piano-designed rolling garden, meant to symbolize the seven hills of San Francisco. Location. Yes, it's a tad touristy, but there's no questioning the vistas from the 39th-floor lounge at the Marriott Marquis (cheekily nicknamed "the jukebox"). When you have guests in town, go early and park yourselves at one of the window tables for breathtaking sunset views. Location.